Kona Ice has given back more than $50 million (yes, million) to local communities and nonprofit organizations since founder Tony Lamb launched the company in 2007. For Lamb, giving back is just the right thing to do. "I think we lose track of the fact that it is an absolute privilege to do business in communities on a one-to-one level," says Lamb, CEO of the mobile shaved ice concept. "That should be enough to drive, motivate, and inspire you to give back to the community and really make the place better." Lamb's commitment to community is personal, developed in his early days of doing business, when PTAs and other community organizations covered the cost of his popular shaved ice. When the economic downturn hit local school budgets and the brand's "shaved ice days," he served up the idea of turning his colorful truck and gourmet treats into a fundraiser by returning a portion of his sales back to the organizations. Lamb says he never would have imagined that his philanthropic quest would become the hallmark of the brand's business model, embraced by a national base of 625 franchisees in 49 states who enthusiastically donate thousands of dollars each year to local school groups, sports teams, and community organizations. 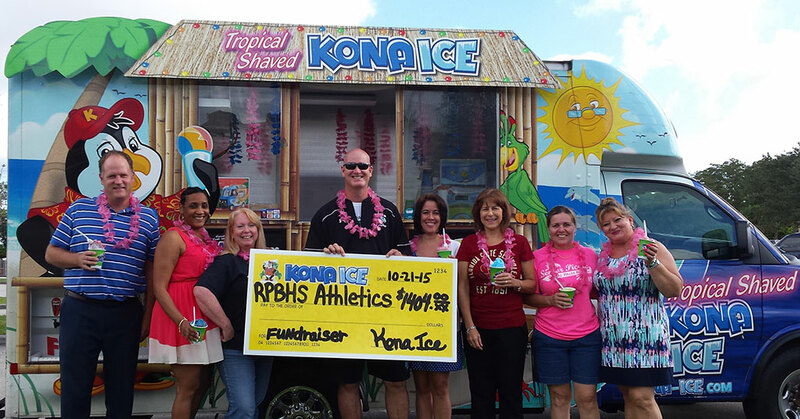 With 1,420 units, Kona Ice takes an organic approach to cause-related events with a variety of fundraising programs, such as Kona Days, Cans for Kona, prepaid cards, Gather & Giveback, and Team Up. Still, Lamb would rather emphasize the giving than the marketing. "We focus on community involvement and talk about cause marketing, but we usually don't say the word 'marketing,'" he says. No matter what you call it, cause-related marketing has come a long way since American Express coined the term in 1983 with a campaign to restore the Statue of Liberty. These days, aligning a brand with a nonprofit or social cause for mutual benefit comes in many forms and is increasingly expected by consumers, who often make buying choices based on a company's commitment to a social value or community connection they share. "I allow the franchisees to get their own cause," says Lamb. "But I implore them to find a cause--and don't tell the press about it, and don't buy a t-shirt that says you do it. Just go and do it, because it is the right thing to do. It will do more for your soul than anything else you are going to do in this business." While franchise brands are continually redefining marketing strategies as they up the ante to raise money, awareness, or both, a genuine message remains at the heart of a winning cause-related campaign. "It isn't just about raising money, it isn't just about this person is in trouble and needs help. It is really deeper than that. It's our way of telling people that how you make a difference in your community is a way to live better. So it fits right in with what we do." Over the past decade, Tropical Smoothie has raised more than $6 million for Camp Sunshine, a year-round, cost-free retreat in Casco, Maine, for children with life-threatening illnesses and their families. Camp Sunshine is the beneficiary of Tropical Smoothie's National Flip Flop Day fundraising and promotional campaign, a team effort across the brand. In 2017 alone the brand raised more than $900,000 for Camp Sunshine. "What we try to help people understand is that we have 662 locations raising money for Camp Sunshine, but what they are really doing is trying to build awareness about this amazing camp in their local community," says Rotondo. "God forbid, if somebody has a child with a life-threatening illness, we want to educate that family, who may be in a place like Little Rock, Arkansas, about this camp in Maine. So it really is a local effort." Toronto-based Freshii was founded on a mission to make healthy food convenient and affordable for all. Today, with more than 350 restaurants in over 15 countries, the brand looks globally for causes to support. In 2014, Freshii partnered with worldwide development charity and youth empowerment organization WE Charity (formerly Feed the Children) to donate a portion of sales from a designated WE menu to children in need. Freshii contributes more than 1 million meals a year to WE Villages and has funded the development of a school kitchen and garden in Kenya, which feeds the community in the surrounding area. On March 22, the brand elevated the cause marketing program with Communitii Day, donating $1 (10 meals) for every entree sold. Customers embraced the first-ever #MakeYourMealCount event, helping to donate 280,000 meals to the international nonprofit. "It's important that our guests have the opportunity to do good with the dollars spent at Freshii--not just for their own health, but for the universe," says founder and CEO Matthew Corrin. "What that means today might be different than what that means tomorrow. And while we continue to evolve, we never lose sight of our mission of making lives better." Strong cause marketing programs can create an emotional tie with customers and strengthen a franchisor's identity--or in Pearle Vision's case, return the brand to its neighborhood roots and the original vision of Dr. Stanley Pearle, who opened the doors of his optical shop in 1961 Savannah, Georgia, to offer genuine eye care in a comfortable setting. Last year alone, franchisees took part in more than 600 local community events, providing complimentary screenings, eyeglass cleanings, adjustments, and appointment scheduling as part of the brand's C.O.R.N.E.A. (Community Outreach Reinforcement of Neighborhood Eye Care Activation) program. The brand is also aligned with OneSight, donating money and volunteer hours to the leading global vision care nonprofit. Brand messaging is consistent and communicated through all its community programs, says Doug Zarkin, chief marketing officer at Pearle Vision. "We're helping bring eye care to underserved communities around the world," he says. "Through our strategic partnership and marketing strategy, we're able to reach people in need at home and around the world, all while reinforcing a brand of people caring for people." Solid cause marketing efforts connect emotionally with consumers and align naturally with a brand's own values and philosophies. When Oxi Fresh Carpet Cleaning began looking to establish a cause marketing strategy, the company sought a charity that placed a great value on water, in line with its own commitment. "Water.org fit that bill perfectly," says Jonathan Barnett, CEO of the Denver-based brand he founded in 2006. "They are fighting the global water crisis in an extremely intelligent way. They use micro-loans to finance water projects for individuals and communities." Water reduction is part of the founding mission of the company, says Barnett, who estimates Oxi Fresh has saved 35 million gallons of water with its "innovative carpet cleaning method," which requires only 2 gallons of water per home, compared with 40 to 60 gallons that many other carpet cleaners use. Oxi Fresh encourages customers to book their carpet cleanings online, donating a portion of each job to water.org, which estimates that $25 can help provide safe water to one person for a year. Barnett says the brand has contributed more than $60,000 to the nonprofit, co-founded by actor Brad Pitt to bring safe water and sanitation to the world. Seemingly small gestures can generate huge amounts of goodwill and buzz for a brand. Take Zips Dry Cleaners' all-American offer to dry clean the U.S. flag for free. "We believe in making every flag look brand new with the bright vibrant reds and blues and shining white stars," says Drew Ritger, the brand's CEO. "That's why we're happy to clean them free of charge--and that's true every day we're open. Big or small, if it has stars and stripes we'll provide a complimentary cleaning." No matter what the cause, buy-in from franchisees is critical for successfully executing any marketing-related strategy. Kona Ice's mission is so important to Lamb that he has a personal conversation about giving back with every franchisee prospect. "I want to know why they are getting into Kona, and I will be honest--I will step away from a lot of people who are purely ROI-driven," Lamb says. Rotondo says Tropical Smoothie's affiliation with Camp Sunshine is a "total brand program." Money raised through $1 paper "sunshines," $5 key fobs offering store discounts, and a wide array of local fundraising events, enables families to attend the camp at no charge, fund the endowment, and pay for other needs as they arise, such as the new Tropical Smoothie Cafe recreational center, which includes a sport court and climbing wall. "Before when they wanted to play basketball or other indoor activities they had to do it in the cafeteria," says Rotondo, who serves on the Camp Sunshine board (as of this writing). And twice a year, employees get a chance to personally experience Camp Sunshine as part of Tropical Smoothie Cafe Week. "What an amazing partnership!" says Anna Gould, who co-founded Camp Sunshine in 1984 with her husband Larry, donating the facilities and personnel. "What makes this relationship even more special is the personal hands-on passion that Mike Rotondo, his team, and the franchise owners display when they come to volunteer at the sessions each year. They help deliver 'magic' to the special families that they fund." Rotondo says employee recognition is an important element of Tropical Smoothie's cause marketing strategy. Top fundraisers, recognized annually, receive free registration at the franchise convention and are honored with an engraved brick on a special pathway on the grounds of the camp. 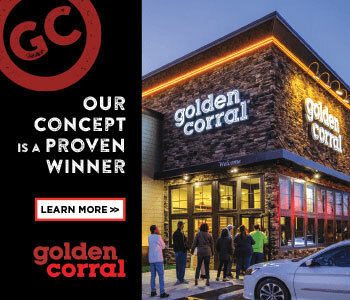 "What we have seen over the years is some of our best-performing franchises are the ones who raise the most money," Rotondo says. "We believe that effort in showing their communities what they are doing has made an impact on their business and bottom line in a positive way." These franchisors--and too many more to include here--are truly defining the art of doing well by doing good. Tropical Smoothie Cafe CEO Mike Rotondo says a strong cause marketing strategy starts with a question: "How does it come to life through the franchisees?" Rotondo, who has passed on partnerships and events that don't fit the chain, takes the long view to cause marketing. "You don't want to do cause marketing for the sake of doing it," he says. "You want to do your due diligence and make sure it is a match for you, your team, your values, and your culture. It is a partnership," he says. "You want to work with an organization that has a lot of the same beliefs and culture that you have. It is what will make the bond so powerful. It really does magic for both sides of the equation." Look for engaging cause-related marketing strategies that fit your brand. A poor fit with a cause or nonprofit group can waste time and money for both sides, and even leave a negative public impression. Barnett encourages brands to explore how they connect with their cause. "For Oxi Fresh, we want to make the world a better place for everyone, and so does Water.org. That's our 'deep-level' connection," he says. "Our 'surface' connection is water. It's an important part of both our brands, making it a natural connection." It's also important to seek out reputable charitable partners. Water.org, for instance, is ranked in the top 10 percent of global charities for transparency and financial accountability by Charity Navigator, says Barnett. He recommends using online research tools that evaluate philanthropic organizations to avoid affiliating with groups that might inflate administrative or fundraising costs, or nonprofits that consistently fail to achieve their goals. And once you find the cause or nonprofit that aligns with your brand, franchisees, and customers, get behind it all the way. "Don't sign up to support a charity, brag about it online, and then send them next to nothing," says Barnett. "Make a real contribution--not one that will endanger your business of course, but one that will enable the charity to make a real difference around the world."